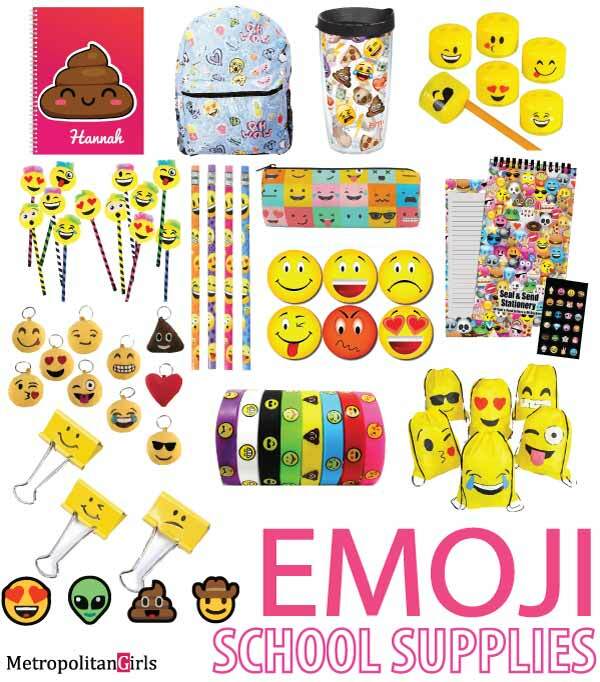 Discover exciting emoji stationery that will make going to school fun again. Warning: there will be poop(moji). This article contains two sections. 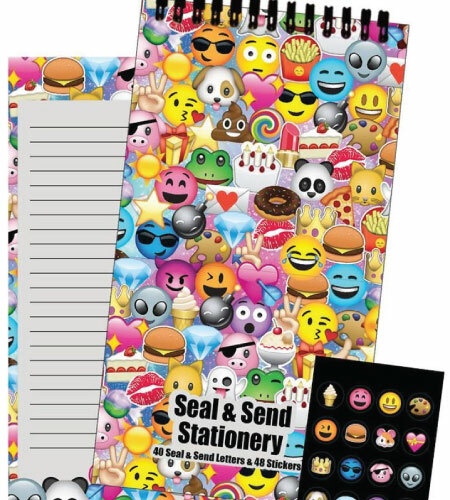 Section one contains a group of affordable emoji-themed stationery that you can buy online from Amazon or Walmart. Section two contains some inspirational DIY tutorial videos that you can follow along or get inspiration from. For those of you who are interested in crafting your own unique school supplies, you will not want to miss those videos. Emojis used to be more primitive, especially in the early days of internet computing. With cell phones and texting getting popular in the 90s, emojis grew with it. But it wasn’t until the smartphone evolution that emojis really blow up in terms of popularity. These modern-day ideograms are made up of little icons of various cartoonish faces and objects such as heart, smiley face, winking face, cat, etc. No matter what you’re trying to say, chances are there is an emoji that can enhance your message. Emojis is often used to improve the brevity of the texts. They are also an excellent way to show your emotions. 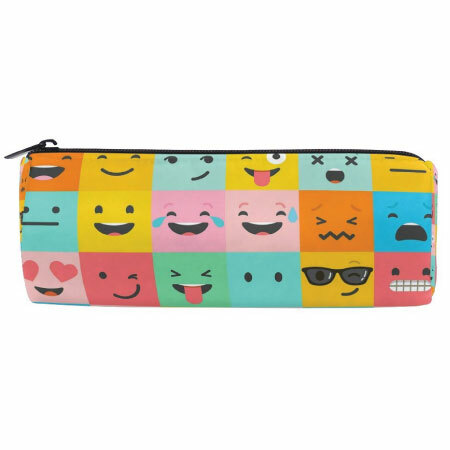 Nowadays, emojis have made their ways into other areas such as apparel and stationery. 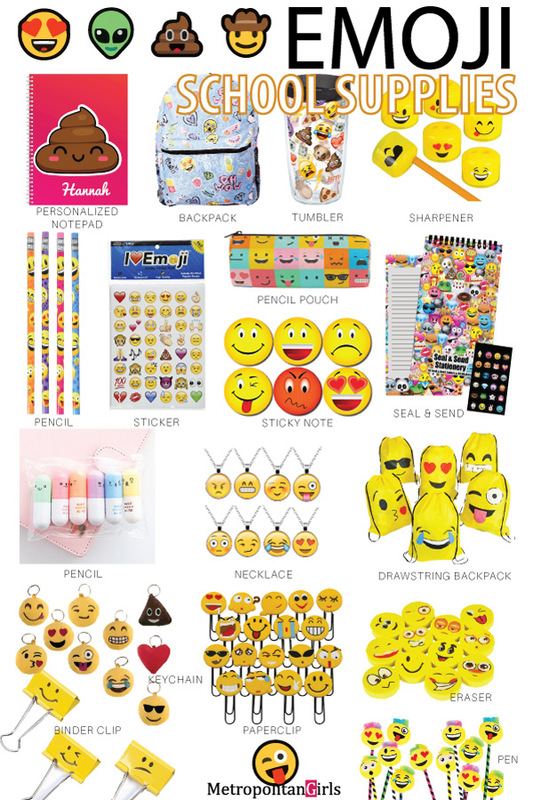 In this article, you will find a list of more than fifteen cool school supplies that feature the emojis. These could also be fun office supplies that will help bring a different energy to the workplace. 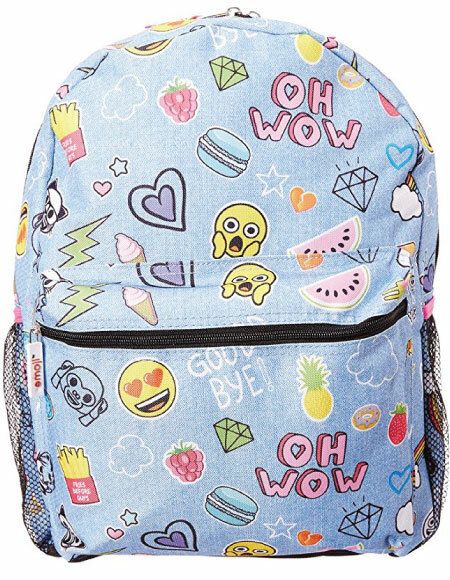 Steal everyone’s attention with this 16-inch denim blue backpack with exciting emoji pattern. Perfect for school use or a casual day out. It pairs well with a cool street-style outfit too. It has 2 side mesh pockets and one large front pocket with zipper closure. The main storage compartment is spacious and has smaller pockets on the inner wall for improved organization. 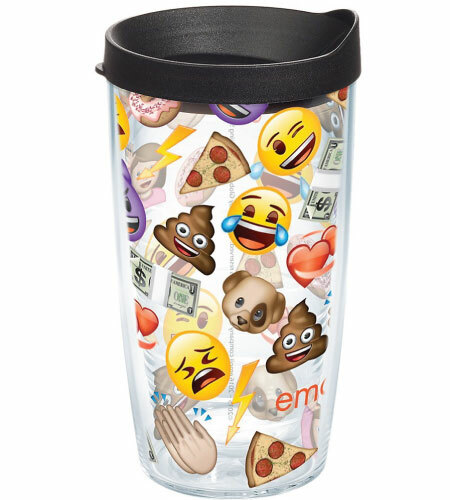 One-of-a-kind BPA-free beverage container featuring emojis from the popular text messaging app. Double-walled for better insulation — your hot drinks stay hot and cold drinks stay cold for a longer time. It can hold 16 oz of liquid. Dishwasher friendly. The black lid helps prevent a spill. 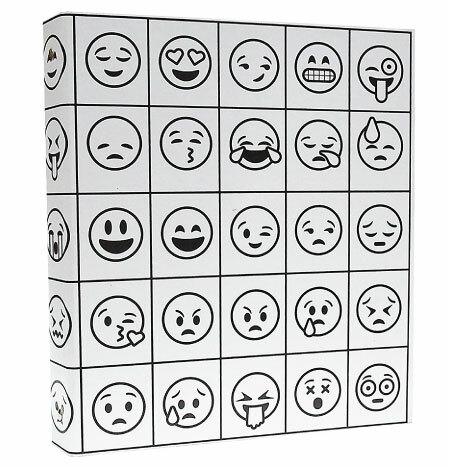 A portable home for the rest of your emoji stationery entourage. It features numerous emojis in beautiful vibrant colors. 3 other designs with the same emoji theme are available. Eraser-topped wooden pencil in four unique colors. The erasers match the color of the rest of the pencil which is a nice touch. The erasers on pencils are typically white. Novelty pencils are fun to look at, but the truth is not all of them write well. 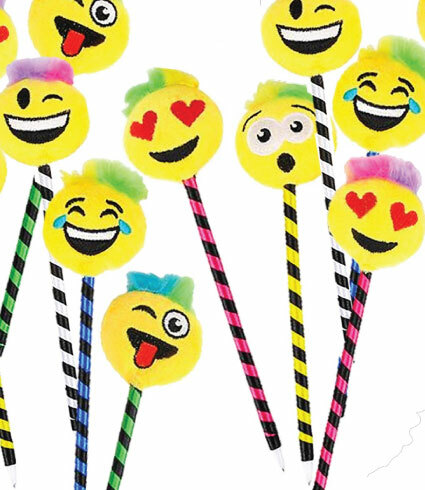 But don’t worry, if you already have a favorite brand of pencils that you can’t live without, you can still give it a little emoji makeover with the help of one of these pencil toppers. Tell your pencil to wear an emoji hat. 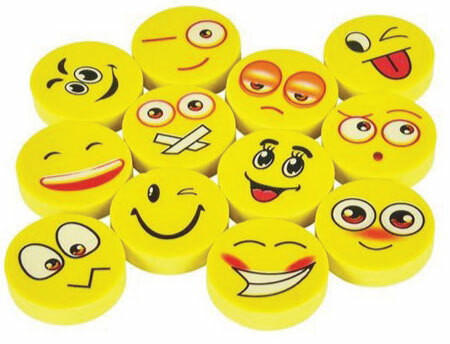 Fun emojis on yellow erasers. 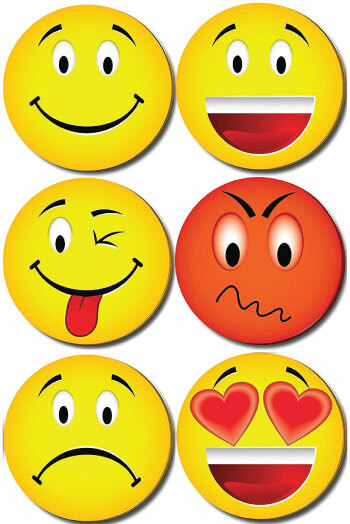 Get emotions like smiling, winking, blushing, and more. Use it to undo the mistakes that you have done with a pencil. Alternatively, if you’re a teacher or a parent, you could also give them out as small prizes. Every tool needs maintenance to stay effective. The same goes for pencil, a dull pencil reduces the legibility of your handwriting and the quality of your sketches. 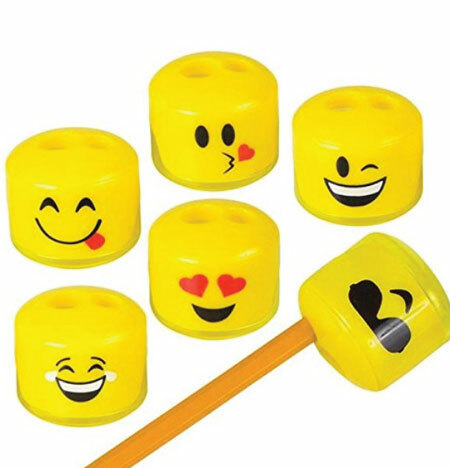 Keep your pencils sharp with the help of these expressive emoji sharpeners. 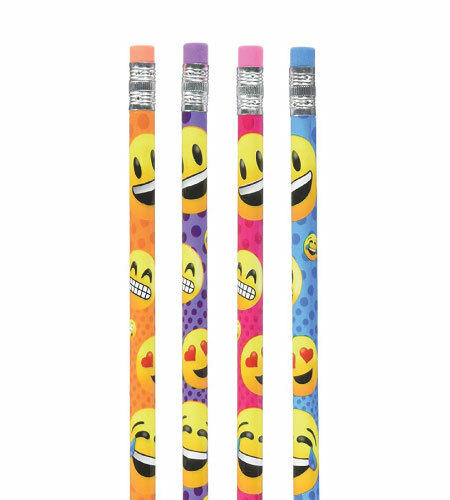 Write in your diary, plan your day, and work on your assignments with an emoji pen. These pens are full of colors and emotions. Their bodies are slanted stripes of black and various colors such as green, yellow, and magenta. On opposite end of the pen is a soft and squishy plush emoji. 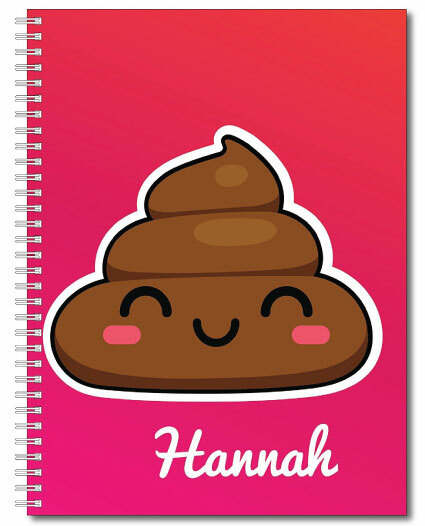 Customize your very own poop emoji notebook. Print your name under the blushy smiling face of a giant brown poop-moji. 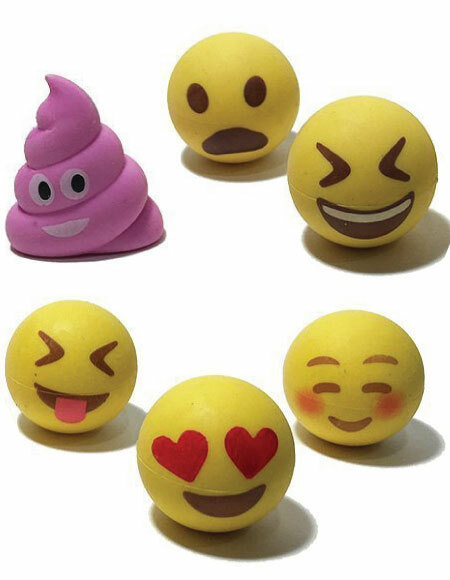 If you’re looking for a poop gag gift that is not too disgusting, this could be it. A hybrid of a three-ring binder and an adult coloring book. Both the front and back of the binder are covered in emojis. Color them based on your preference. Note that the exterior is glossy, so use a Sharpie or other permanent market for coloring. Keeping documents organized has never been more fun. Colors available are bright yellow, powder blue, and baby pink. I prefer paperclips when there aren’t that many sheets of paper to bind. 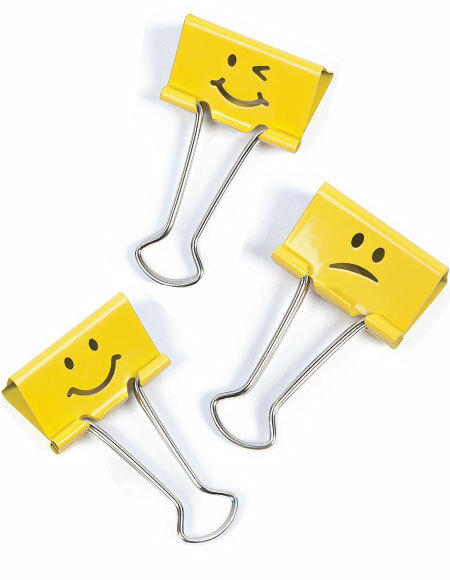 A good paperclip doesn’t leave marks or holes on the papers, unlike the stapler or binder clip. 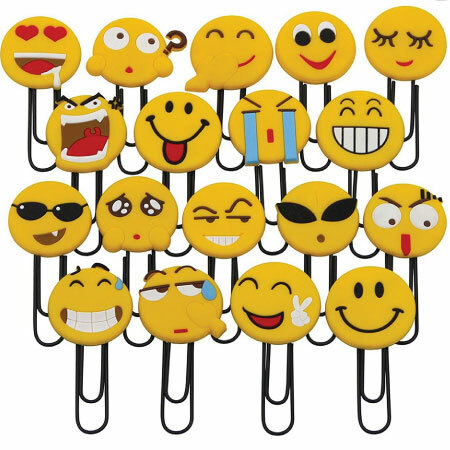 The emoji part of these paperclips are made of silicone, so they are soft to touch. Every order comes with 10 paperclips with random emojis. The perfect way to emphasize important snippets in your notes or textbook. You can also use it to decorate your diary. Cute Japanese-style emoji on the highlighter’s cap. The highlighters’ colors are attention-grabbing but not distracting. While drawstring backpacks only have a single compartment, they compensate that weakness with their featherlight weight. Excellent for football practices, picnic, or to the gym. 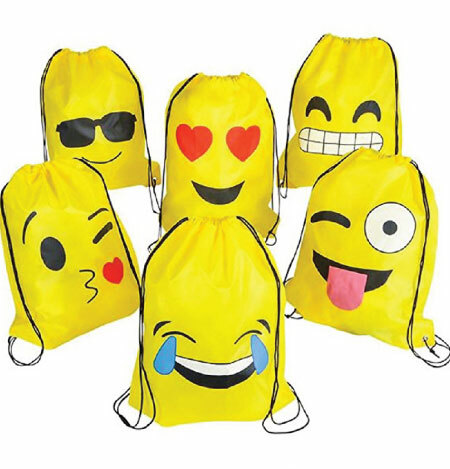 The funny emojis on the bag is guaranteed to bring a smile to your face. Set yourself a reminder with these funky sticky note. Each pack has 50 sheets. Every note is about two inches wide. 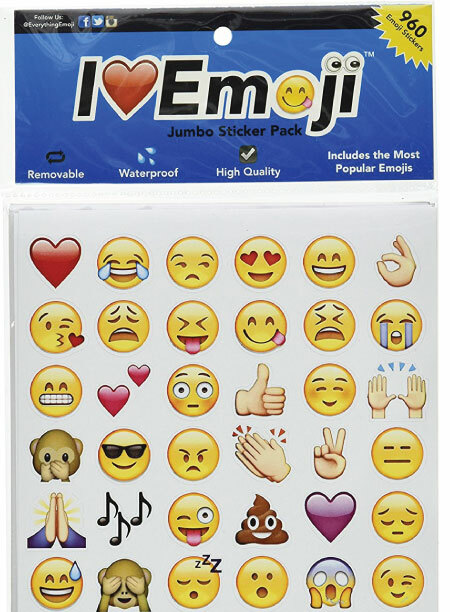 Make everything you touch emoji merchandise. These stickers are waterproof, so yes, you can even stick them on your soap dish. Maybe your cat’s water bowl needs a little decor. Your imagination is the only limit; Certainly not the lack of stickers, because there are 960 stickers in this jumbo sticker pack. These pendant necklaces are the perfect casual jewelry for a fun day out. 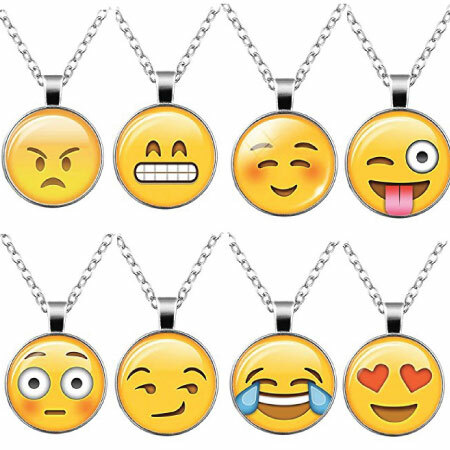 Not sure why emoji merchandise seems to sell in bulk, but there are 8 pendant necklaces in a single order. Each of them features a unique emoji that represents different emotions. So wear it based on your feelings at the time! Keychains are unsung heroes. They keep your keys and other small items from going missing. 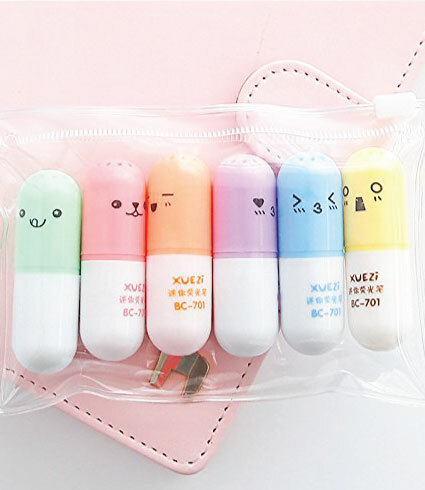 They are also fun little decoration for your bags. 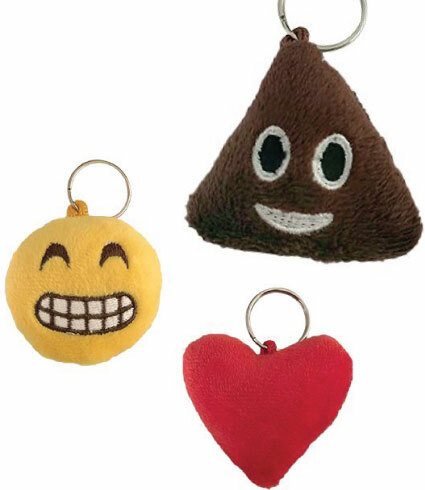 For the keychain pack below, you are getting 10 unique emoji plush keychain for an absurdly low price. Unless you have 10 keys to attach these keychains to, consider sharing them with your pals! Traditional mail, or the snail mail, is not as common nowadays as it was a few decades ago. That is precisely why receiving a handwritten letter from someone is such an exhilarating experience nowadays — it’s a rarity! These seal & send letters are exactly how it sounds like. Simply write in the empty space provided, fold it, then seal it with the stickers provided. No envelop required! But don’t forget to attach a postage stamp before you send the letter out. 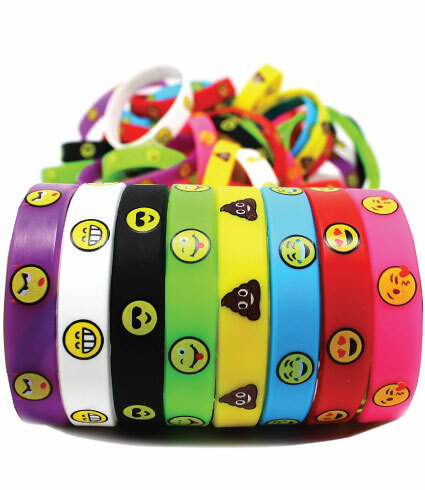 Colorful and playful emoji wristbands. Wear a different one based on your mood to school every day. There are a total of eight designs for you to choose from (shown below). Note that this is a bundle of 48 wristbands (8 designs — so 6 wristbands for each design) which is great because now you can share with your siblings or friends. Made with silicone. It is toxic-free and heat-resistant. I have never been good with crafts, but if you’re a craft person, here are some DIY videos that may inspire you. They look like fun activities to do with the kids too! Check them out now. Did you find anything useful from this article 😘? Follow our back to school supplies board for more stuff like this. Personally, I’m fascinated with emojis. I love how expressive and cute they are. An emoji is truly worth a thousand words. Well, maybe not thousand, perhaps tens of words which is quite a lot to pack in a small icon.